The Garden State will enjoy improving weather conditions Wednesday as our coastal storm system slides out to sea. We made it, New Jersey! Our 8-day stretch of mostly gloomy, occasionally wet weather is about to end. The transition to pleasant weather will take almost all day Wednesday, but the upcoming warm temperatures will be worth it. There are very few changes in the forecast for the next few days, with one big exception. Keep reading to find out why I'm specifically calling Sunday's forecast "surprising". As of this writing, our coastal storm system has made it's turn toward the east, and is driving out to sea. However, there are still some residual showers passing through New Jersey Wednesday morning — this scattered wet weather will continue through about mid-morning. Even as the rain ends, we're going to hold on to some thick clouds and some fog through at least part of Wednesday afternoon. (This will be especially true along the Jersey Shore.) Optimistically, the sun will start to peek out from behind the clouds after about 3 or 4 p.m.
Our warming trend will kick in Wednesday too, despite the raindrops, clouds, and fogginess. High temperatures will range from the lower to mid 60s (along the coast) to the lower 70s (inland South Jersey). 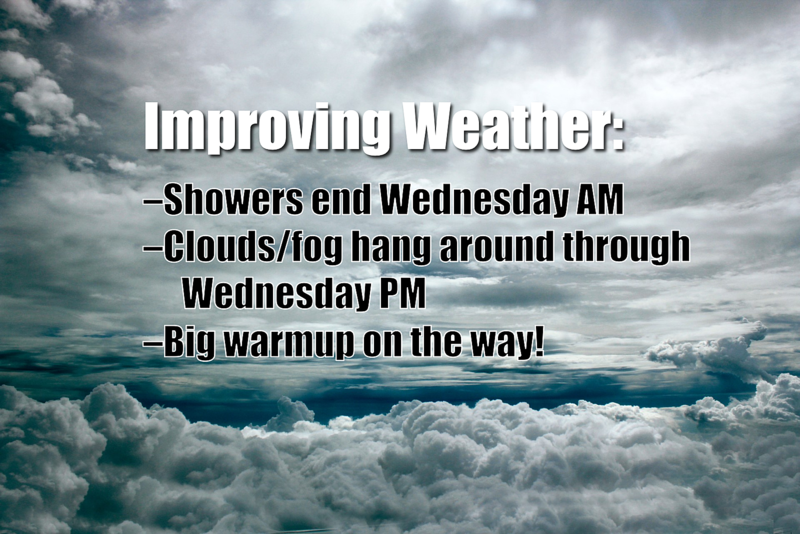 Wednesday night, skies will continue clearing slowly, with possible fog. Low temperatures won't fall much, as our air remains marginally humid. Thermometers will end up in the comfortable mid 50s by Thursday morning. After the fog burns off early Thursday, we'll enjoy a gorgeous, mild late April day. Partly sunny skies and light winds will push high temperatures into the lower to mid 70s for most of the state. Temps will be quite a bit cooler along the coast — only in the 60s — that's still pleasant, just noticeably cooler than further inland. The warmup continues for Friday, as our winds turn to a southwesterly direction. High temperatures will bump into the upper 70s to lower 80s to end the workweek. While we could see a brief shower early Friday morning, sunshine should win the sky for most of Friday afternoon. Saturday looks downright summerlike, with widespread 80s in the forecast. Even the Shore will be warm, as a brisk southwesterly wind pumps in the almost-hot-and-pretty-humid air. We could get as warm as 86 or 87 degrees in SW NJ — not quite 90 degrees... but really close. However, winds look to make a marked shift from southwesterly to southeasterly by Sunday. As the stiff breeze blows over the still-chilly ocean water, it will have a surprisingly significant impact on weather conditions across the Garden State. Even though the day will feature partial sunshine, high temperatures will be limited to the lower to mid 60s at best. I think Sunday's cooler temps are also surprising because just a day ago, I was promoting another day of 80s — that's a pretty big forecast change. Furthermore, this cooldown it doesn't follow our "typical" pattern: 1.) rain, 2.) cold front, 3.) cooldown. Just keep in mind that the second half of the weekend will be quite different than the first. Our next big storm system is scheduled for Monday. 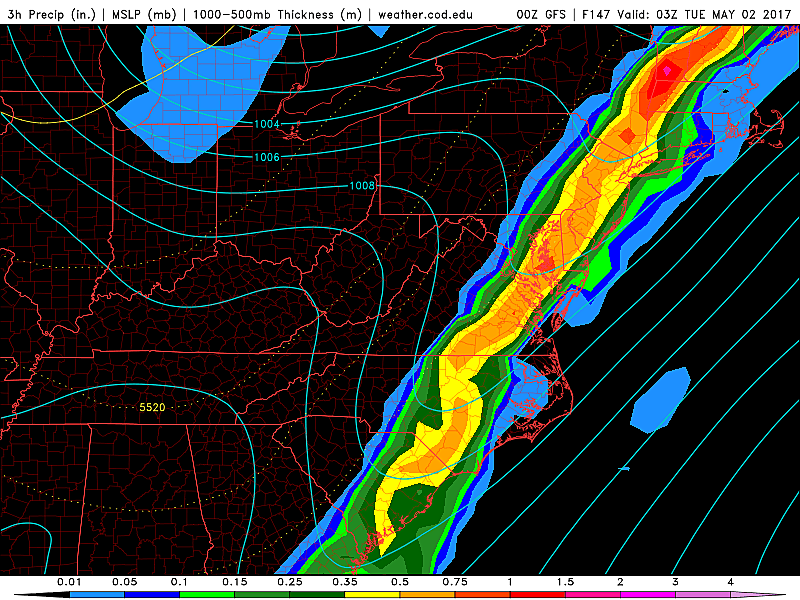 That's when a strong cold front will push through New Jersey, accompanied by a round of strong thunderstorms. Best timing for this potentially tumultuous weather is Monday afternoon (after about 4 p.m.) But that estimate may wiggle in the coming days. Temperatures for early next week look to hover at or just above seasonal normals. In other words, nice springtime weather!